Off-Road Products - Built way 'in excess' of 'HD' - Everything built 'Up' to a Spec and NOT 'Down' to a price. 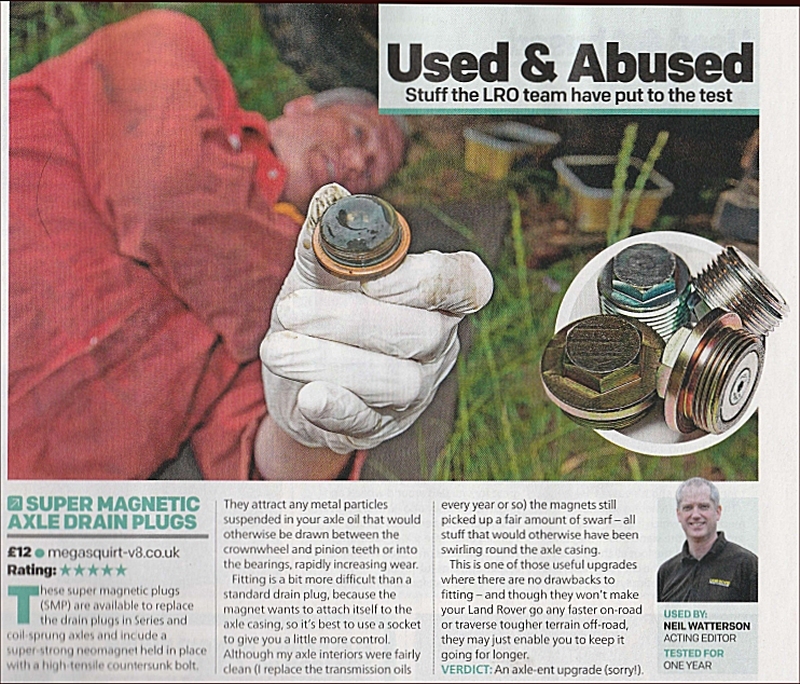 Video about our range of super strong Magnetic Plugs for Land Rovers Click Here ! So, welcome to our Billet CNC Machined Xcess4x4 Diff Plug Range. 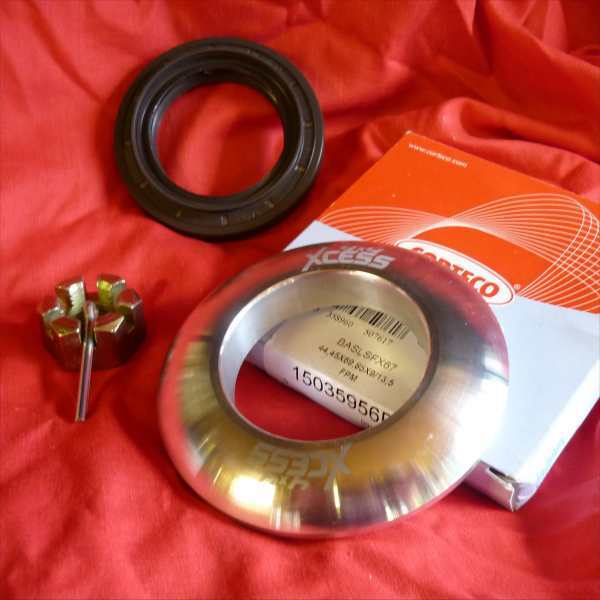 Lets start with the Xcess4x4 Plug replacement unit for the LR Drain Plug on the bottom on the Axle Casing - ( LR Part No : 608246 - Sorry but not for L322, RRS, Disco 3 & 4 or Freelander ). This unit also this fits the rear Filler Hole on LT230 Transfer Boxes. 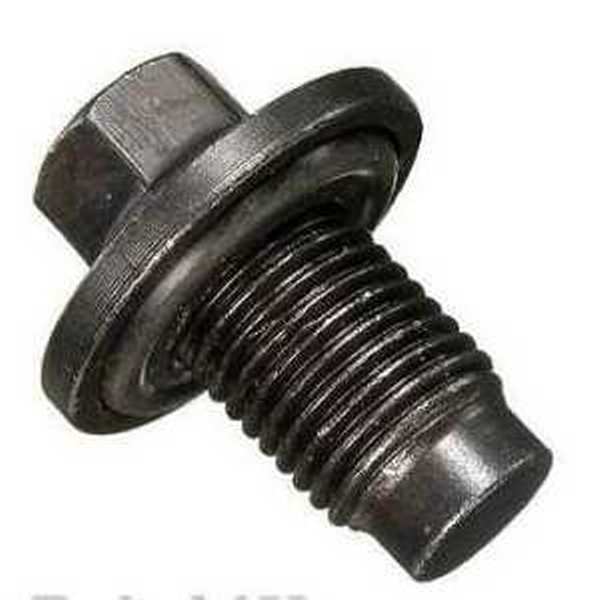 LR Axle Drain Plugs are just that - a 'Metal Bung', and there's all manner of swarf and metallic bits and bobs floating about looking to do damage - which they do !. 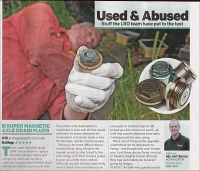 Remember when I bought of pair of your Super Magnetic Drain Plugs at Donington 4x4 show, and how I explained I was very fussy on my oil changes and maintenance ?. 'Well, last Sunday was oil change day. I definitely did s**t myself with a capital "S". Man these are mentally strong, in fact nearly as mental as you !'. Pic Enclosed (Drain plug not Underpants LOL). Absolutely brilliant mate, truly bloody amazing !. Use the above in any way you see fit . Great service, and great product, everyone should have a set of these in their Land Rover Engines, Gearboxes, and Axles. As with the Coil Sprung version which is proving a best seller - a number of customers have moaned groaned begged and badgered for a Series leaf Sprung Axle version. The initial 1st batch are currently at the platers ! Due into stock 1st December onwards !... Part No : 235592 and Crush Washer 515599. 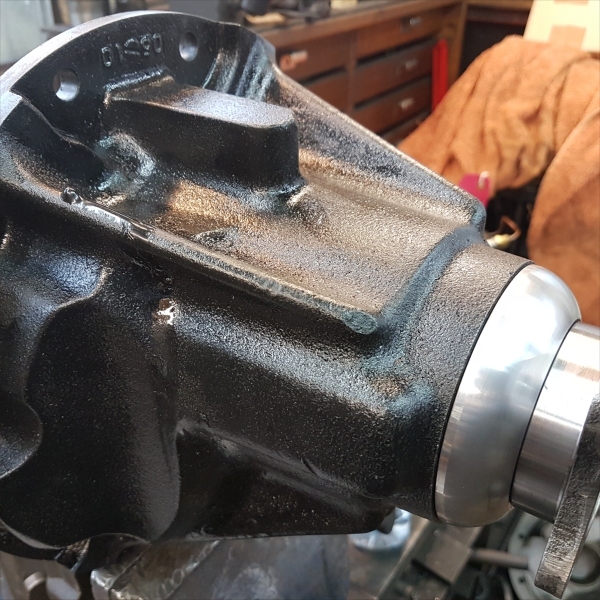 As with a lot of the other Genuine LR Sump Gearbox and Axle Plugs - they are just that - a 'Metal Bung'. 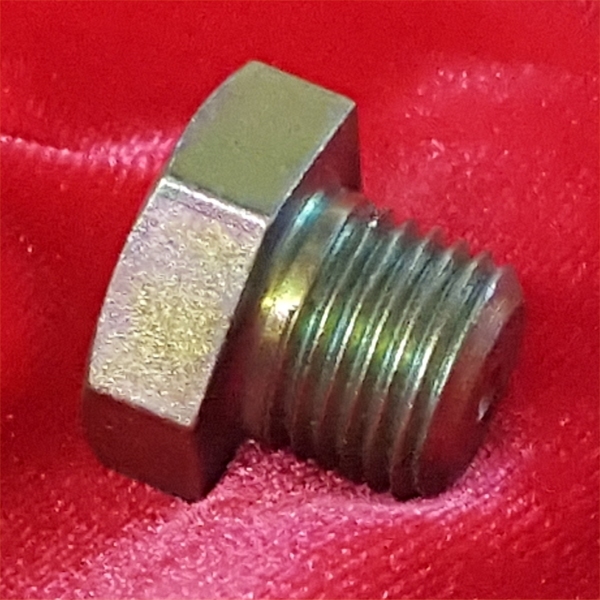 The Xcess4x4 plugs for the Series Axles are machined from a High Grade EN Solid Steel Billet, matched with the correct thread pitch (which is a seriously weird one lol ), and with the recess for the Crush Sealing Washer. 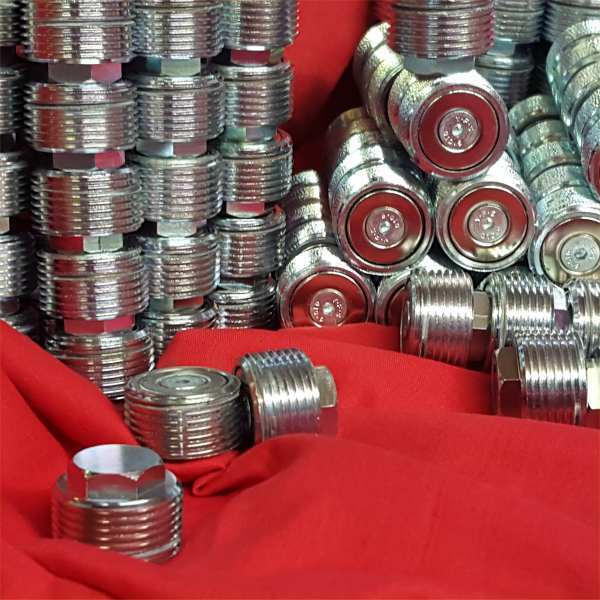 Instead of the nasty weak 'Slot' in the base which distorts and fills with crud we have had these made with a 20mm socket head for socket or spanner for easy removal and refit. 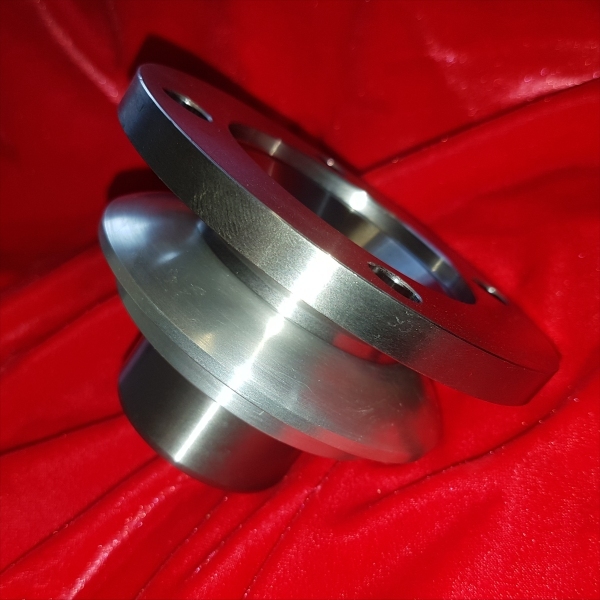 You will see from the picture that the unit has been cleverly altered so that the 'sticky out bit' is less than you would think by machining the washer flat thinner, which we can do as its a hugely strong steel and not the soft brass standard unit. As with the others a special Magnet (same size as the Coil Sprung Unit version - so video is equally valid) is then secured with a countersunk 12.9T Allen bolt. 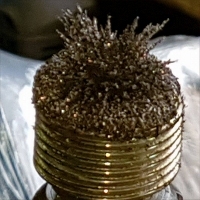 Think of all the metallic bits floating around in your casings, engines and gearboxes. 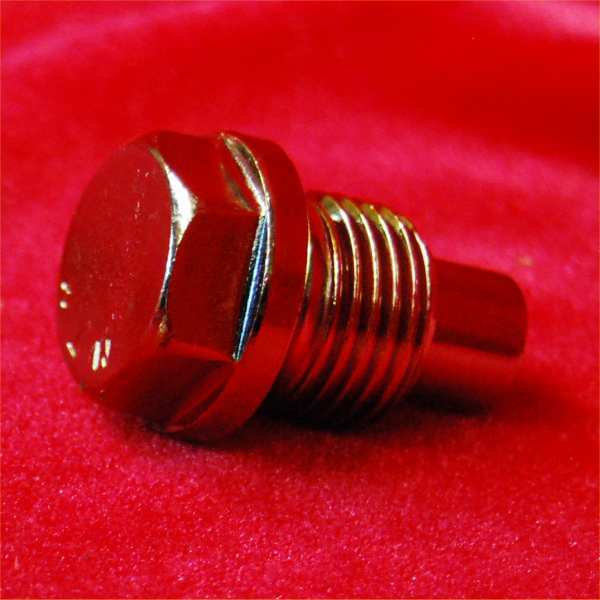 Now check out the rather Non H&S Video SERIES Super Magnetic Drain Plug . 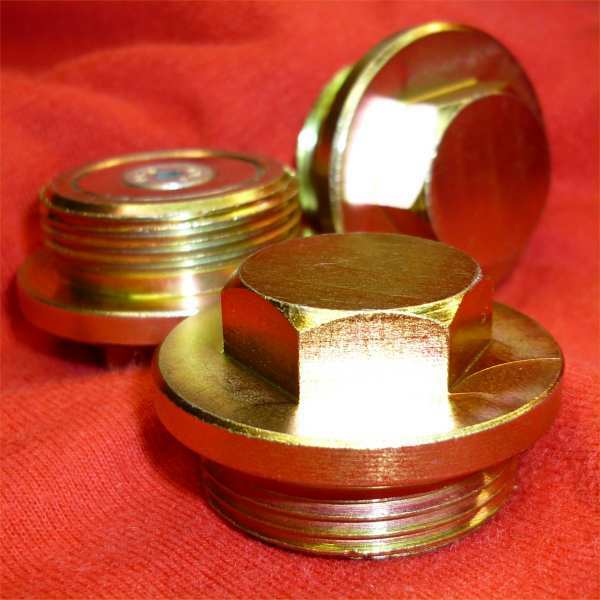 These are so efficient that on your 1st oil change after you fit these we guarantee you will have a shock & a half at what these have picked up . 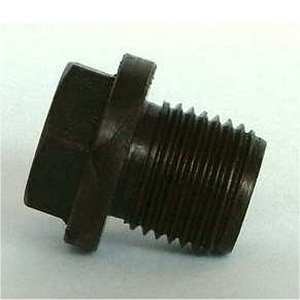 Below we have our range of additional Xcess4x4 Plugs to fit the vast majority of Land Rover Engines & Gearboxes. But...Any 'pre orders' (before Jan 28th 2019) there is a Facebook 'Nothing buy Y60 or Y61' forum special at £12.50 each plus £4 delivery plus vat which is £34.40 (trust me it will add up right on checkout ! 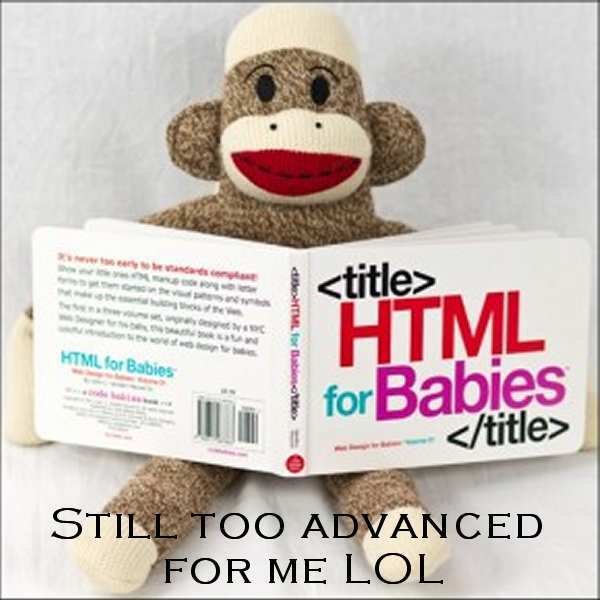 )...but please NOTE : These will be shipped end this month 1st Class recorded. After this offer the price will go back up, and yes they are a bit more expensive than the others, as I had to have "rather a lot made" to get the price down to a sensible level ....all things CNC are volume driven - and 100 x these is a very very small run on a 5 axis machine ...Set up time was longer than run time LOL ! 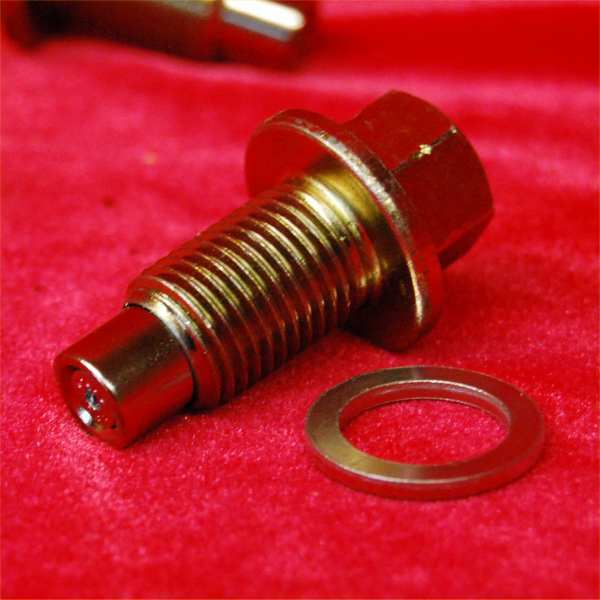 This Xcess Plug is a direct replacement for the Land Rover PUMA Gearbox Filler AND Drain Plugs (Same Part Number LR005008) . 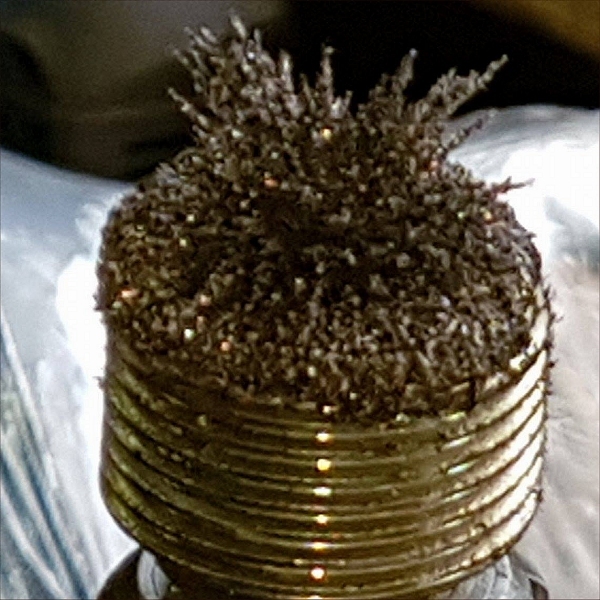 The Standard Genuine Land Rover Plugs are again just a Blanking Plug, leaving any metallic swarf to wreak havoc with the internals with no magnet to assist cleaning and prevent premature damage and wear. 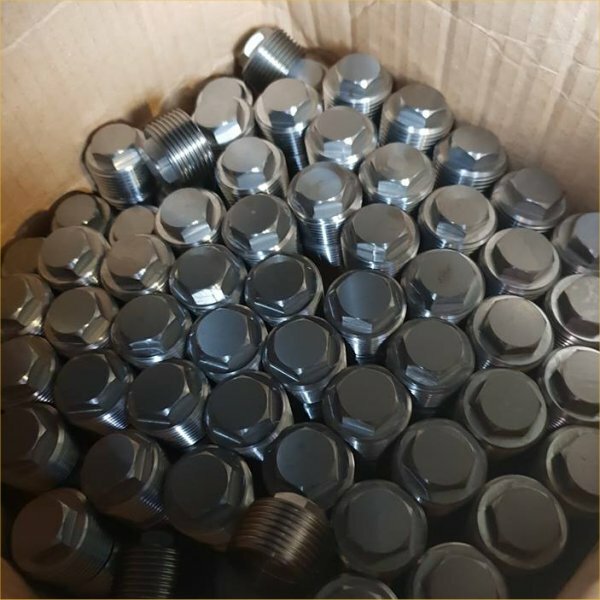 Owners will be delighted to see that not only have we CNC machined a Plug, fitted with a top of the range Neomagnet to grab damaging metallic particles currently left to do damage, but, as the standard factory plugs are such a absolute 'pig' to get to ....with the horrible sunken Torx Screw internal fitting we have made these with a much easier to both see and use, by having a nice 17mm Hex Drive on the outside of the plug for spanner or socket !. Finished in a deep protected Passivate finish simple swap over (once you have the Standard 'Pig' ones out !. As these fit both there's the option of having both Filler and Drain and saving a little bit ! This is a Kit designed for the 'Angry Pumas' Group on Facebook. This Kit gives you 5 x of our SMPs, all for Pumas. 1 x For Engine Sump, 2 x for gearbox, replacing the daft Torx blanking Plugs with 2 x of our SMP ones with a Socket head (Hurrah) and 2 x of our SMP units for the axle drains. 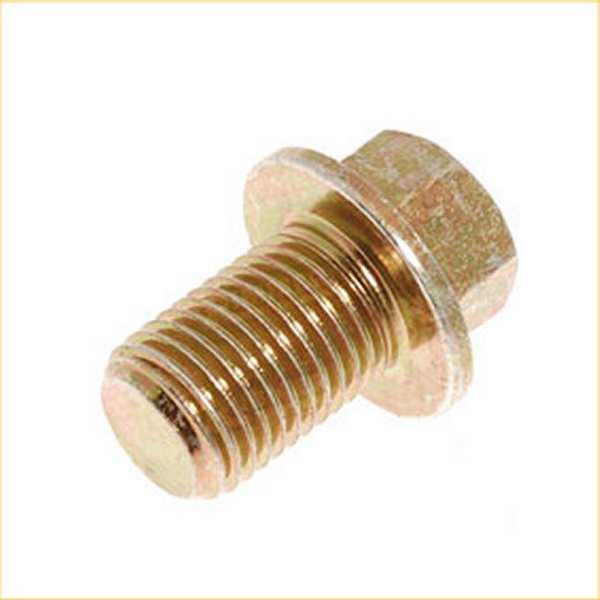 This Xcess Plug is a direct replacement for the Land Rover TD5 Engine Sump Plug - Part Number TRL100040 or TRL100040L ) . 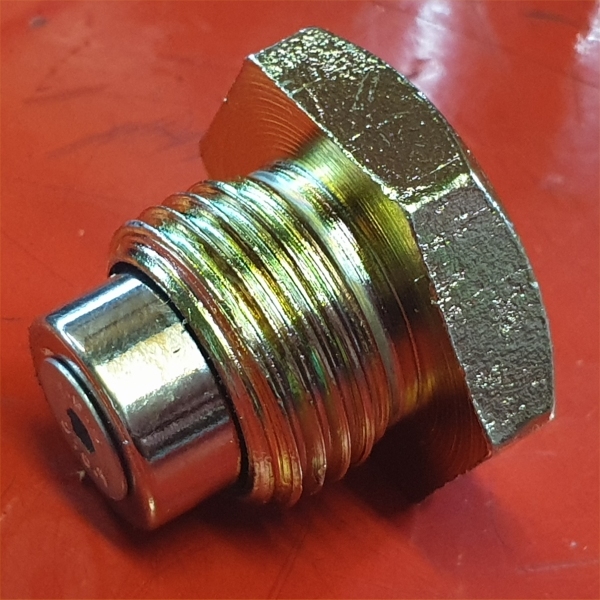 The Standard Genuine Land Rover Engine Sump Plugs on TD5 like other Land Rover units are just a 'Blanking Plug', leaving any metallic swarf to wreak havoc with the internals with no magnet to assist cleaning and prevent premature damage and wear. 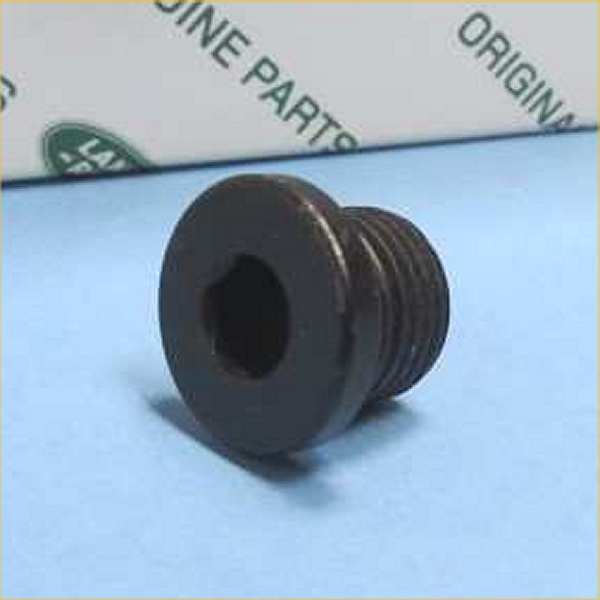 Land Rover Part Number is : UAM2957L. 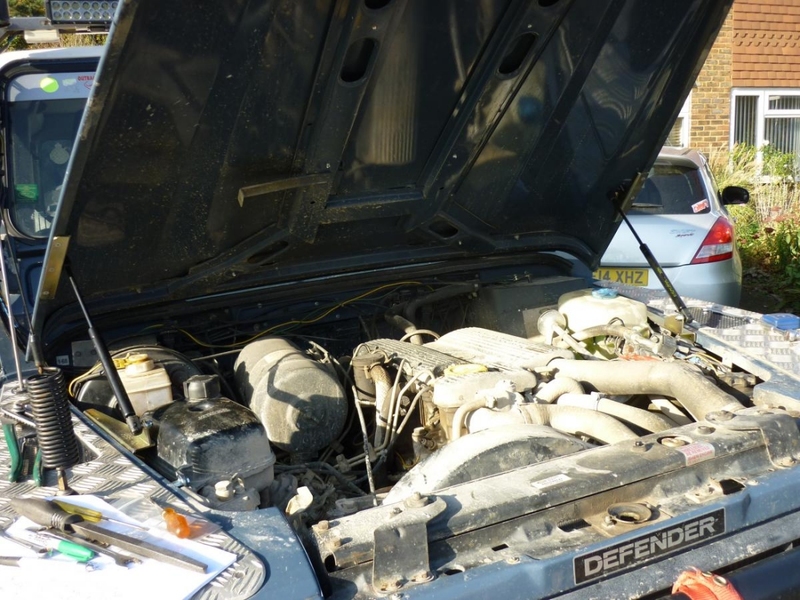 This relates to Discovery Series I 1989-1998 300TDi, Defender 1987-2006 300TDi, Range Rover Classic, 1992-1994 300TDi, and Range Rover P38 1995 300TDi. 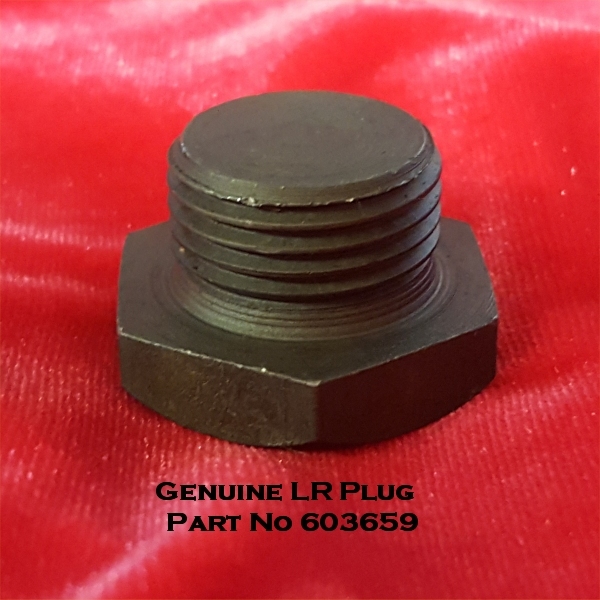 Replacement for the other 300TDi Engine Sump plugs also fitted in a variety of LRs, Land Rover Part No : LSF100040L or LSF100040LX. And yes, again the Genuine Standard Plug is just a bare metal plug, vs. this unit. 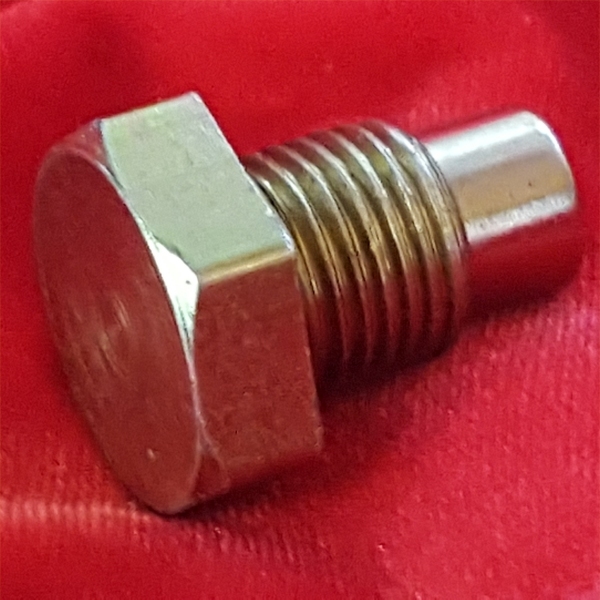 Ours is again a new CNC machined Xcess4x4 Plug Fitted with a top of the range Neomagnet located with a countersunk screw, complete with new washer ready to swap over & remove damaging metallic swarf currently floating about unhindered. Like the others in the range, you will be stunned what this removes from your oil when you come to change it. 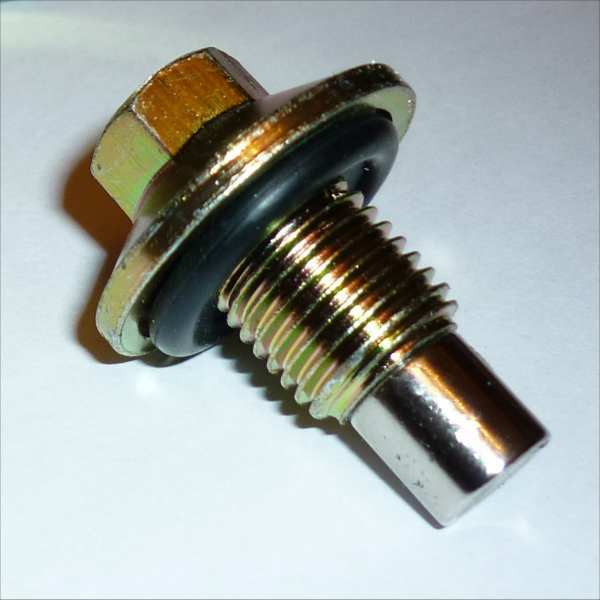 This Xcess Plug is for the earlier Land Rovers - Part No 603659, which is earlier V8 Petrols, 200 TDi engines, Defender 87>, Discovery 1 89-98, Range Rover Classic >94, 101 V8 Forward Control. 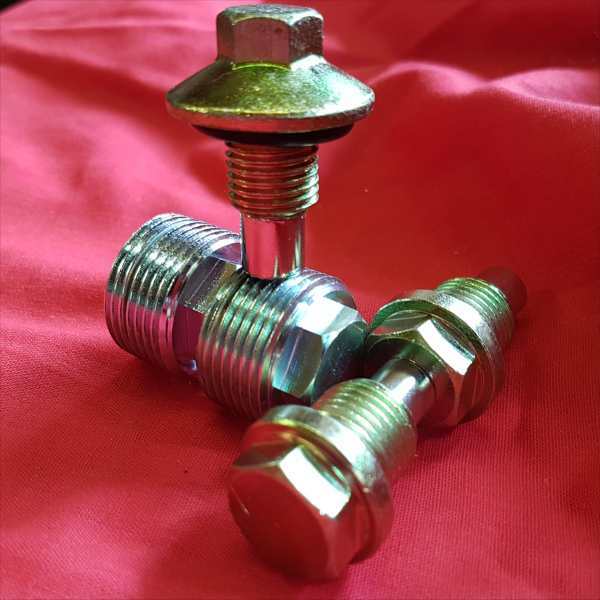 And Again, the Genuine Standard Plug is just a bare metal plug, vs. ours, a new CNC machined Xcess4x4 Plug Fitted with a large top of the range Neomagnet located with a countersunk screw, complete with new washer, ready to swap over & remove damaging metallic swarf currently floating about unhindered. Like the others in the range, you will be shocked what it finds in the oil when you change it next - having forgotten its in there ! 'Finally', as customer said to me, 'Finally - a properly decent LR Axle Tube Truss Strengthening Kit' !. Design had a long wish list. 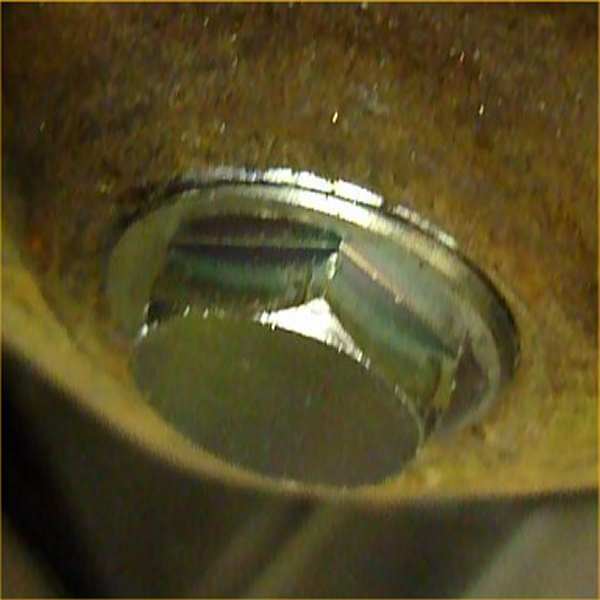 Top, a decent fit, even taking into account LRs tolerances from Casing to Casing, poor fit means risk of warping when welding. Light, not some daftly heavy lump, especially for racers where weight is crucial. Strong, daftly seriously strong, these are made from 3mm Domex 700 MC, 3mm Domex = equivalent to 9mm Mild steel. Attractive, not like a old lump of RSJ has been grafted on. Practical, holes to lighten, without strength loss so crud can be washed out via drain holes. The kit does front and rear long sides, it's long sides that bend, not shorts - top only too, so why on earth would you go way OTT weld up underneath reducing ground clearance ?. A Kit is :1 x Top Front Truss, 1 x Top Rear Truss + a 2nd part fitting over the top of the existing spring mounting. 2 x Rear 12mm 'Packers allowing the 3 rear parts to be all welded together, and the standard spring seat plate put back on. All complete with a set of Longer Nuts Bolts Washers, and detailed fitting instructions. 'Challenge Wings Kit' - Everything you need to convert a 'Challenge Winged' 90 / Defender Variant to the Twin Gam Ram Kit. 'Standard Wings Kit' - Everything you need to convert a'Standard Front Winged' 90 / Defender Variant to the Twin Gam Ram Kit. The 'Standard' Land Rover Bonnet Opening mechanisims and their 'Bonnet Props' are stuffs of legend / cracked heads / nipped fingers / wounds. The early 'Sizzor Type' is truly bludy lethal - and the later bonnet prop types not much better. But now there are 2 Kits with auto gas rams to sort this out. Video Here 'Xcess Twin Gas Ram Bonnet Opening Kits Video' Kit 1 - For 90 / 110 / 130 etc with 'Challenge Type' front wings. 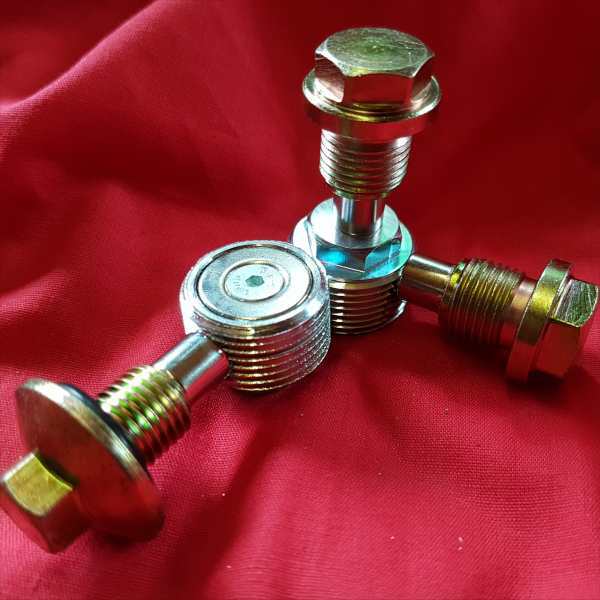 This kit gives you 2 x Gas Rams (with easy detachable clips for easy bonnet removal, 2 x handed CNC Plated Bonnet mounts, 2 x 'Weld on' Plated wing mounts, all 4 ball ends, nuts, washers, countersunk screws, etc etc, EVERYTHING needed to fit the Twin Gas Ram Bonnet Opening Kit. The 2nd Kit is the kit for 'Standard' Winged 90/110s etc, (No welding required..bolt on 100% Bolt on Kit !) and covers 2.5 petrol + Diesels, 2.5 NAD 200 and 300 TDi TD5 (needs minor modifications) V8 90 and NAS 90 V8s etc - But NOT Puma and definately IT WILL NOT cope with wheels on bonnets ! - but other than these 2 reservations it will nicely sort out all the variants and including RHD and LHD versions. 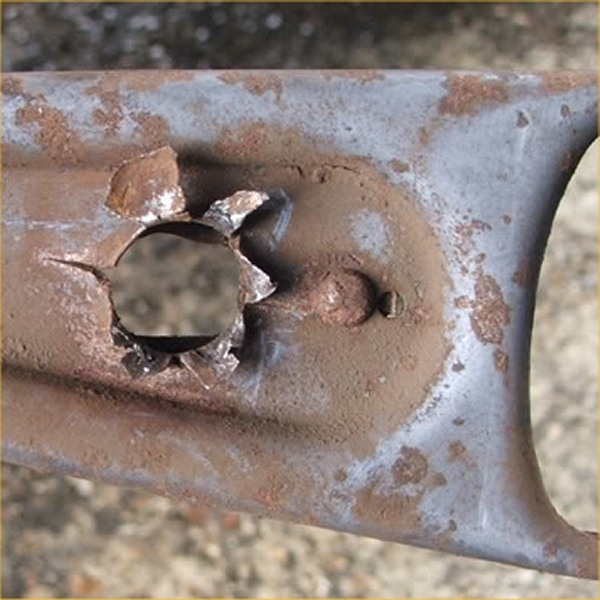 Multiple holes also give fine tuning for adjusted height when bonnet opens etc. All Brackets are CNC cut and plated using majority of existing mounting holes. Makes life so much easier and better, ....And lets face it.... we have our bonnets up... A LOT !!. 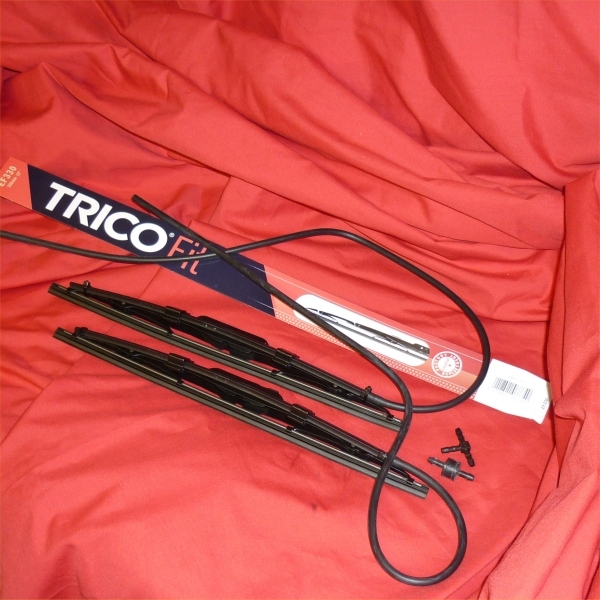 DeLux Kit - All of the above + A pair of new 'Trico' Wiper Blades. 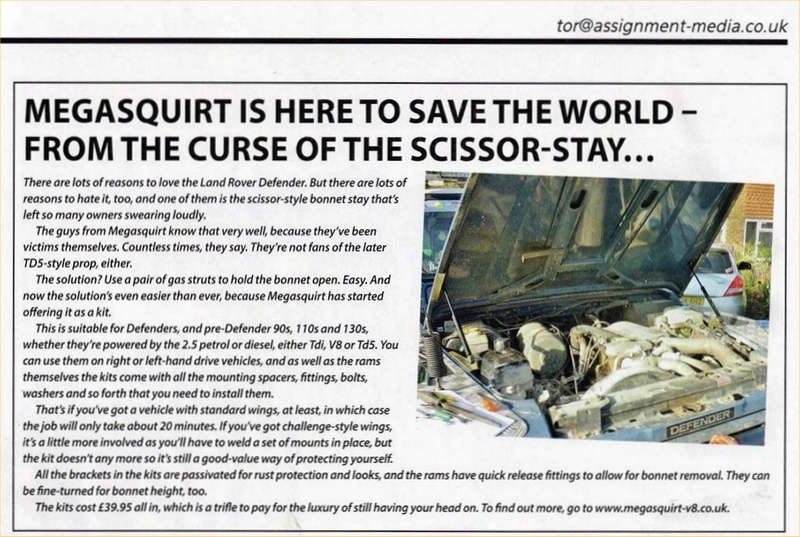 This, next to Megasquirt is one the 'All time Favourite' Modifications I ever did to my Truck, and I did it 20 years ago using bits from a scrapyard. Those few cars that ran this system have long vanished, but we have sourced brand new units. Instead of the 'Rather Hopeless' Land Rover jets, this conversion kit has jets that attach to the entire length of the wiper, when you wash the screen now the wipers have jets of water up and down the entire length, just in front of the blade, cleaning your screen in seconds. See the 'Before & After' Video sent to us from Neil Burton with his TD5 90 running this kit : Kits can be bought as a basic kit which comes with 2 x Jets, Clips for fixing T piece One way valve and zippy ties etc, or as a DeLux Kit which also has a pair of new Trico Wiper blades. 1 x 'Kit' does BOTH wiper arms. See the video here Washer Conversion Kits for how and why this is just a 'Must do Modification'. Will Fit Trico Blades and Bosch, but not some of the cheap pattern units. 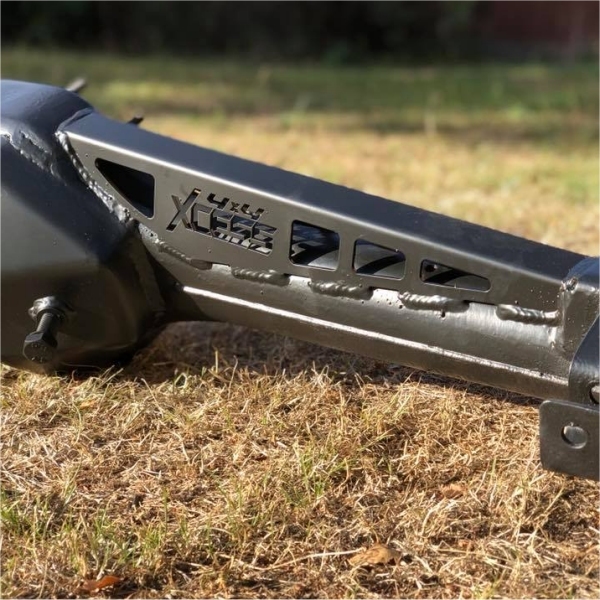 Our upgraded Xcess Clutch Forks are a must in any 200 / 300 TDi 4x4 - with or without running one of our Xcess Clutch Units. The standard units are known for giving way, with the pivot punching through the dome on the Clutch fork, rendering your clutch useless - and a big job ahead. Our 'XS' Clutch Release Units, CNC machined from Solid Steel Billet + Passivate Coated, are a final upgrade to your clutch system. Massively stronger than either the daft Genuine Land Rover plastic units (see Photo !) or Ali versions - Aluminum being 'exceptionally good' at absorbing heat - which clutches generate - doesn't do release bearings much good !. Even a standard clutch worked hard can wreck its release unit, with an upgraded Ceramic Clutch these are an absolute must. 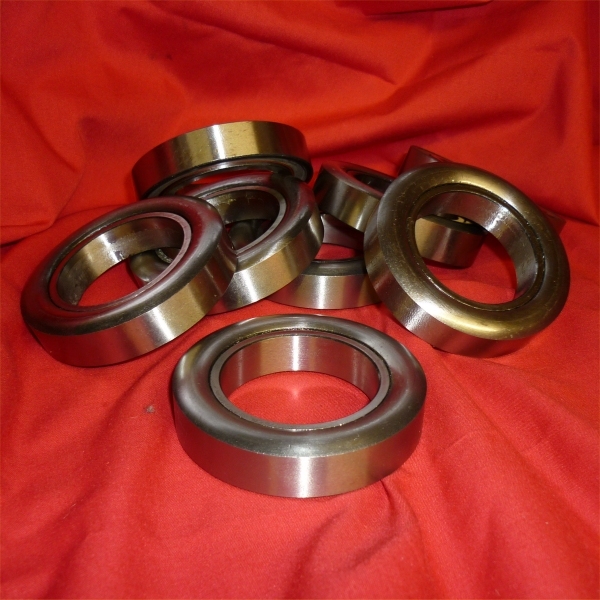 Units are complete with bearing, which is replaceable and on sale below. EITHER of these units also comes complete with a proper CNC cut Stainless Steel 'Retaining Clip' - replacing the serioulsy daft standard plastic easily meltable one !! 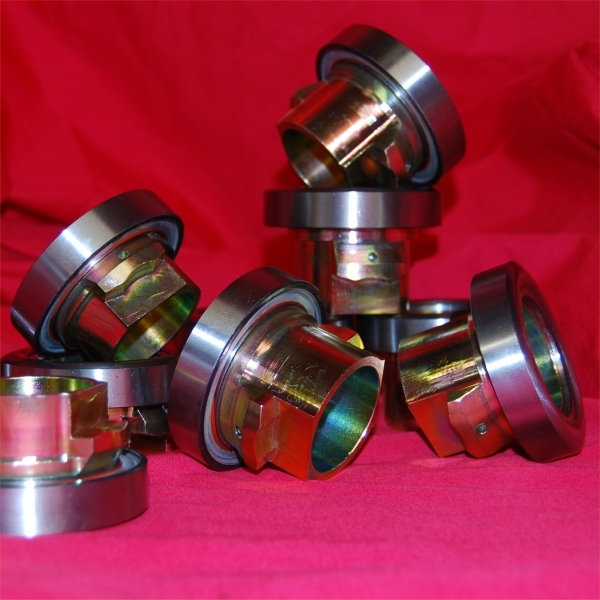 A replacement, or additional release bearing for ALL the Billet CNC Centres we make. 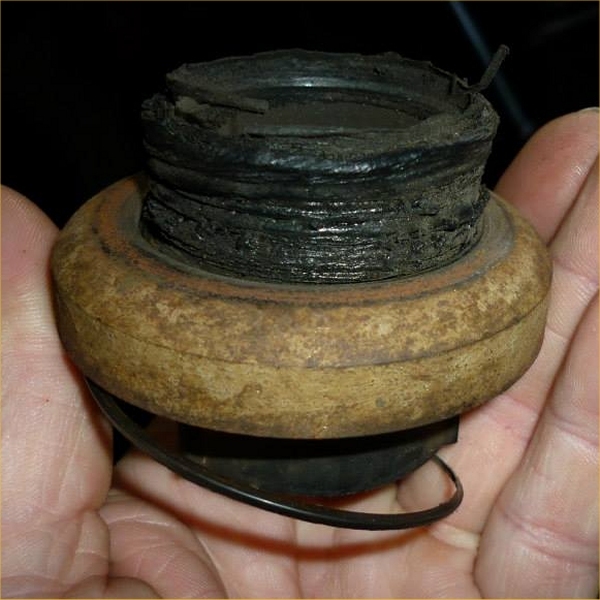 This is also the very hard to find early bearing that fits some of the original solid centre clutch release units from early RR Classics, of which there are 2 differing IDs so call us 1st before ordering. 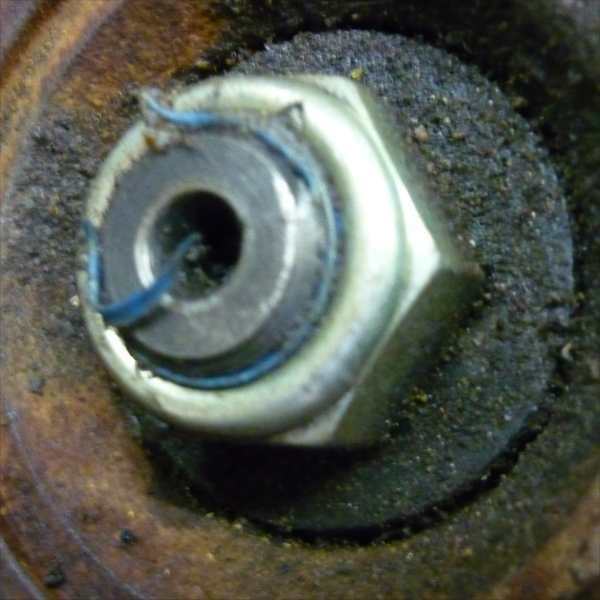 The 'Super Pinion Flange' is a completely unique solution to the age old problem of Land Rovers various (dreadful) Pinion Seals and Shields. PLEASE DO NOT BUY If you're unable to potentially 'fettle' them to fit. 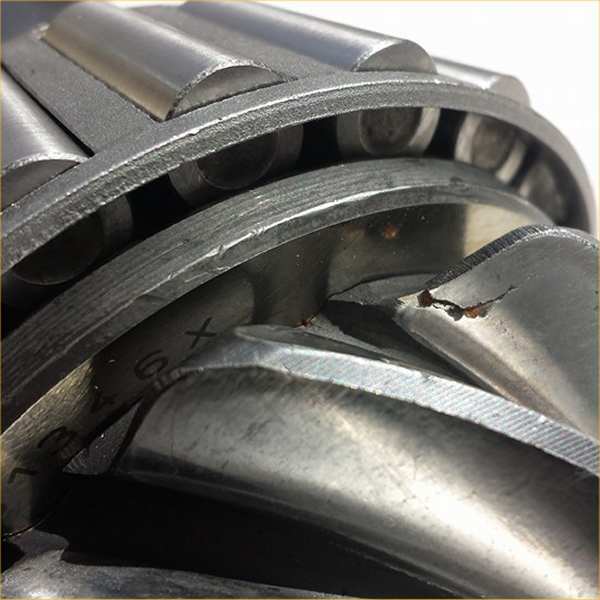 Due to minor variations in LR Casings they may NOT always be a 100% straightforward fit. Click for Video explaining fitting process and potentially what might needed in 'tweaking' them to fit. er ie LR tolerances are 'not quite as good' as a 5 Axis CNC Machining Center. ! Pinions with a Castle Nut + Split Pin is this Kit. 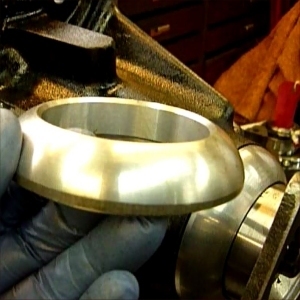 It will also fit the 4 Spline older Flanges and the later 24 Spline. Kit comprises of a SPF Aliuminum Flange, New Corteco Pinion Seal, new 'Castle Nut' and Split Pin. Kit 2 - 'Central Bolt' Kit. Pinions with a 'Bolt' screwed into the end means you have Kit 2. 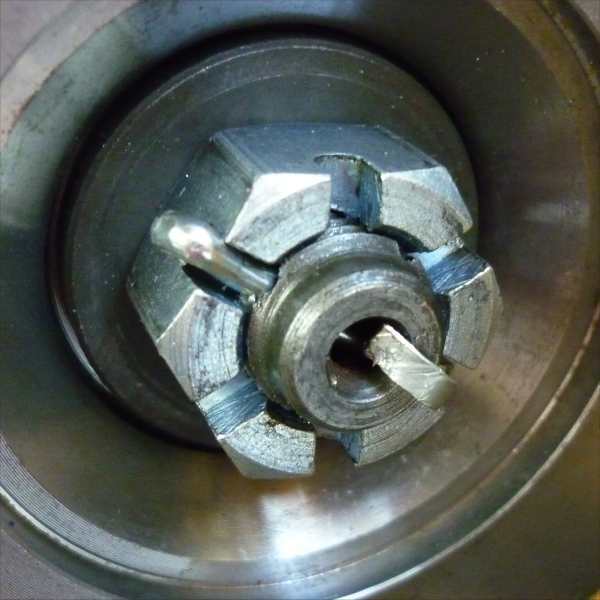 Pinions may be Round or Square - fits either. Kit 3. - 'Nyloc' Kit. On Differentials with a 'Nyloc' nut on the end of the Pinion, including Discovery 2 '3 Bolt Flanges' this Kit. 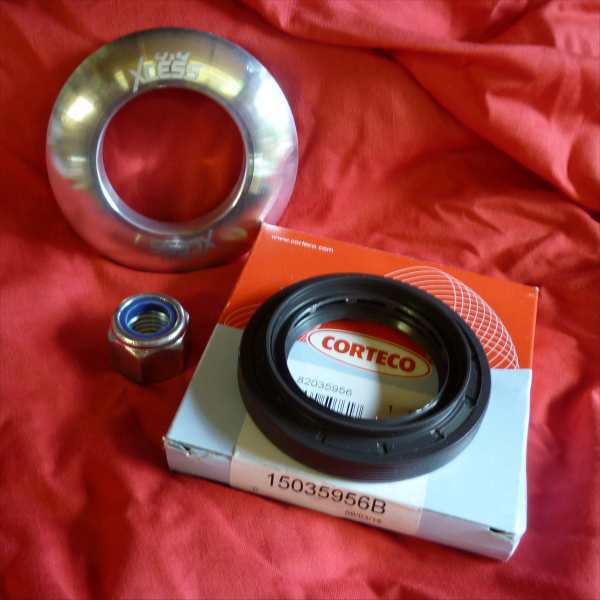 Kit comprises of a Xcess4x4 SPF Aliuminum Flange, New Corteco Pinion Seal + new 'Nyloc'. Kit 4. - TWO of any of the above Kits - 'Mix n Match' ! If you would like to buy a Pair of SPFs then Kit 4 is the one to buy. as sometimes the front and rear Differentials may need different kits. With Kit 4 buying 2 also gives you a small discount. Kit 5. - A Full Super Flange Kit (has all 3 Pinion end types) + NEW 'Round Type" Late Pinion Flange - Pressed on ready to fit ! Kit 6. - A Pair - i.e. 2 x Full Kit 5s as above. That's 2 x New Round 'Late Type' Drive Flanges, both with new seals, all 3 x pinion end fittings, and 2 x of the SPF pressed on all ready to fit. On Earlier Land Rover Differentials, the pinion has a 'Coarse' 4 Spline vs the later 24 Spline version. 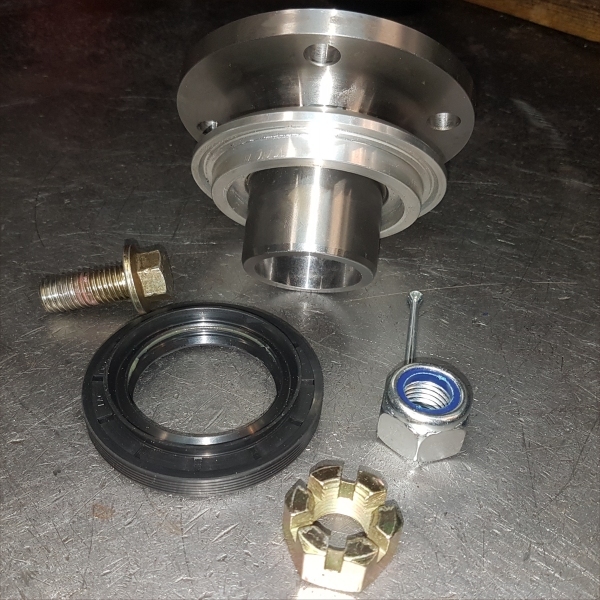 This Kit is for 1 x Square coarse 4 spline Drive Flange with a SPF Fitted, and comes with new seal etc. That's 2 of 'Kit 7' - ie 2 x Square coarse Drive Flanges, both with new seals, and 2 x of the SPF pressed on all ready to fit. 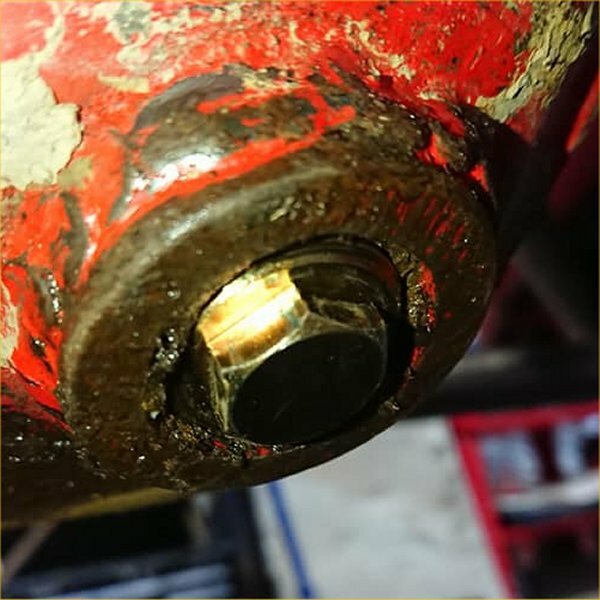 Just as with our Long Nose 'Super Pinion Flange' this a completely unique solution to the age old problem of Land Rovers various (dreadful) Pinion Seals and Shields, this unit being no better, so we are proud to now have an upgrade for these too. Unfortunately, and you may well know, the new drive falnges for these are anything but cheap, but hey ho eh ? As with the Long Nose Upgrades - PLEASE DO NOT BUY If you're unable to potentially 'fettle' them to fit. 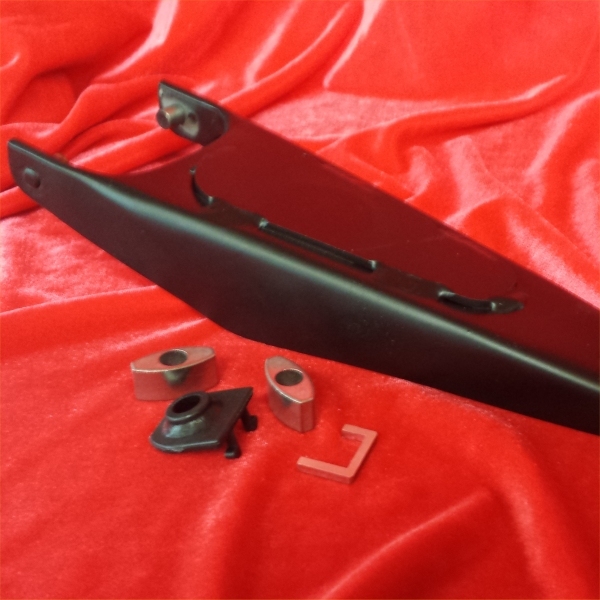 Due to minor variations in LR Casings they may NOT always be a 100% straightforward fit, although we have had numerous feedbacks as to them being an easy fit ,...yours maybe the exception so please do think 1st! Click for Video of these units being fitted, also look at the Long Nose Video above too. Life is much simplier though - Just the 1 Kit comprising of a Xcess4x4 SPF Flange, New LR Genuine Pinion Seal, and a new 'Pinion Bolt' oh... and new Flange unit of course with the 'Super Pinion Flange' pressed on for you.